Mary, Queen of Scots also known as Mary Stuart, became known as one of the most controversial figures in British royal history. 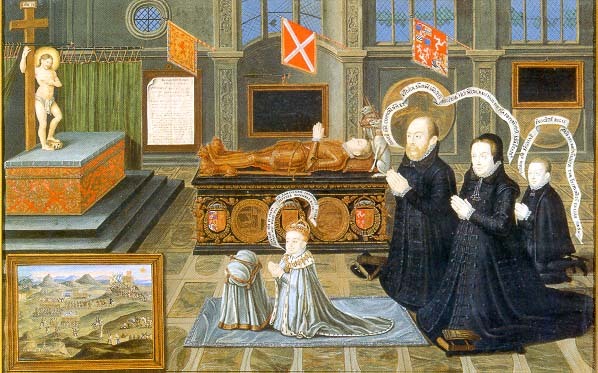 A daughter of King James V, she inherited the Scottish throne in 1542, while being only six days old. Therefore, a regency was set up to rule Scotland, while she spent her childhood in France. When she came back for the throne in 1561, the British Isles were deeply divided by Protestant Reformation. A Catholic herself, she struggled to keep Scotland loyal to the Pope, in the midst of religious turmoil that caught the British Isles. In such a delicate political situation, she found it necessary to surround herself with trustworthy courtiers, as conspiracies were in the air from the first day of her official reign. One such courtier, in particular, managed to rise quickly in the hierarchy, becoming the Queen’s personal secretary, and by some allegations, her lover. 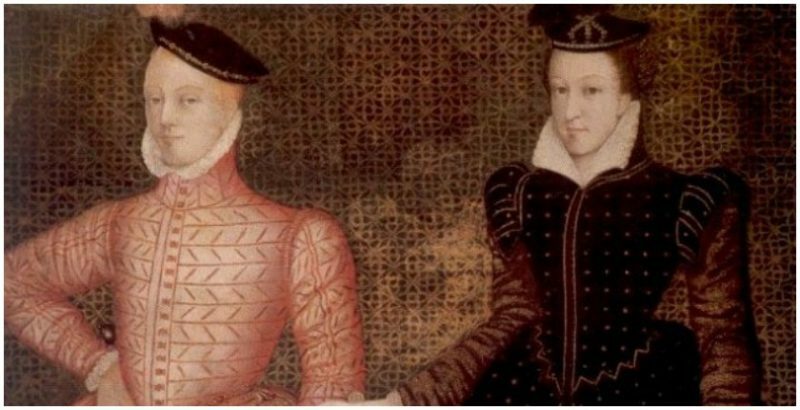 His name was David Rizzio, and he would meet a tragic end in 1566, as a victim of a conspiracy orchestrated against Queen Mary by none other than her husband, Henry Stuart, Lord Darnley. 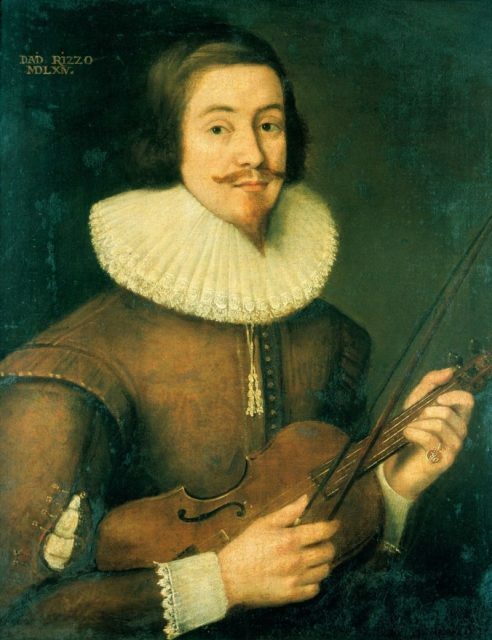 Rizzio was an Italian musician who ended up in the Scottish court in 1561, as a member of a diplomatic mission on behalf of Savoy, then a duchy in today’s Switzerland that had strong ties with Piedmont, one of the most powerful of Italian realms at the time. Although the mission was over, he stayed at the invitation of Queen Mary, who found his musical skills and continental charm quite enchanting. After spending a few years as a court musician and a bass in the Queen’s choir, he would go on to replace Augustine Raulet, one of Mary’s most loyal subjects who acted as her confidential secretary and decipherer, and was the only person apart from the Queen to own the keys to the box containing her personal papers. David Rizzio and Mary Stuart by Amos Cassioli. It remains unclear whether the reason behind this decision was due to Raulet somehow betraying the Queen’s trust, or due to her own misjudgment. Anyhow, this shift wasn’t taken lightly, as Rizzio was soon accused of being a Papal spy, whose real role was to support Queen Mary in her attempt to subvert the Reformation in Scotland. Meanwhile, Lord Darnley and Mary Stuart got married. Darnley, described by historian John Guy, as “a narcissist and a natural conspirator”, and a person who “was cynically exploiting religion for his own political purposes”. Darnley was known for his debauchery and promiscuity with some stories even claiming he also had a love affair with the Italian musician. In fact, Rizzio was known to be his confidant before he switched sides and became one of the Queen’s most intimate advisors. In 1566 the Scottish ― less than a year after their wedding ― the royal couple became very estranged. 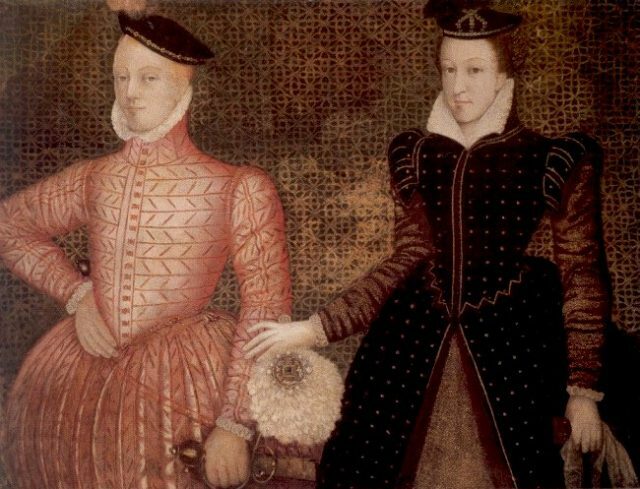 Darnley’s opportunistic nature surfaced as he tried to push out Mary from all political affairs, assuming the role of King of Scots. 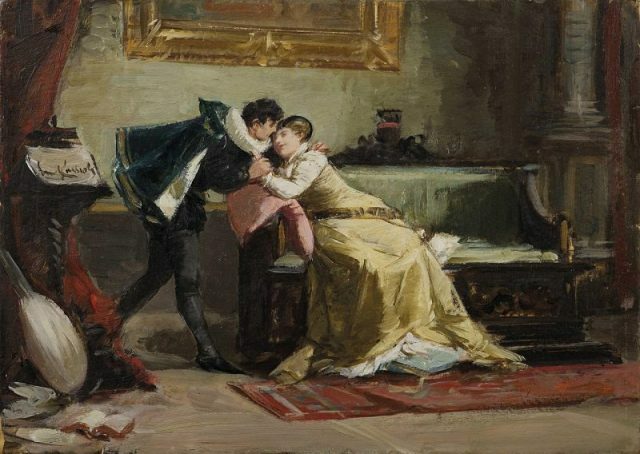 The two became bitter foes, and his suspicion towards Rizzio grew, as the young courtier became more and more close to the Queen. Add to the mixture that Mary Stuart was carrying a child at the time, and that many of the courtiers pointed their fingers at David Rizzio to be the father, although no evidence for such claims existed. Together with his father, Matthew Stuart, 4th Earl of Lennox, and a number of other influential figures of the court, he devised a plot which would end in using David Rizzio as a scapegoat for his own coup against Mary. On the night of 9th of March 1566, the conspirators decided to act. A group of 80 men barged into the Queen’s dining room, where she was having dinner with Rizzio and other confidants. Rudely interrupted, Mary Stuart quickly became aware of the gravity of the situation. One of the main conspirators, Lord Ruthven, initiated the previously orchestrated brawl while wearing battle armor. He accused Rizzio of having an affair with the Queen, emphasizing their assault as a matter of honor which needed to be settled. The Queen objected to such accusations while being held tightly by Darnley, with a pistol pointed to her head. During that time, the conspirators stabbed Rizzio with their daggers, killing him. 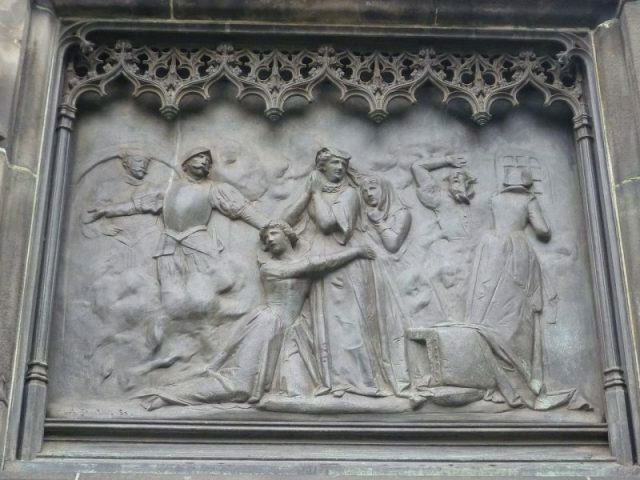 In the aftermath, David Rizzio, the personal secretary of Mary, Queen of Scots, had received 56 stab wounds. Afterward, when Darnley was confronted by Mary, he explained that the plot took place due to his belief that she was having an affair with Rizzio. Although Mary denounced such claims, the argument which followed led to the Queen being locked in her chamber, while the conspirators further desecrated Rizzio’s body. However, using her charms, the cunning Queen managed to persuade Darnley to help her escape. 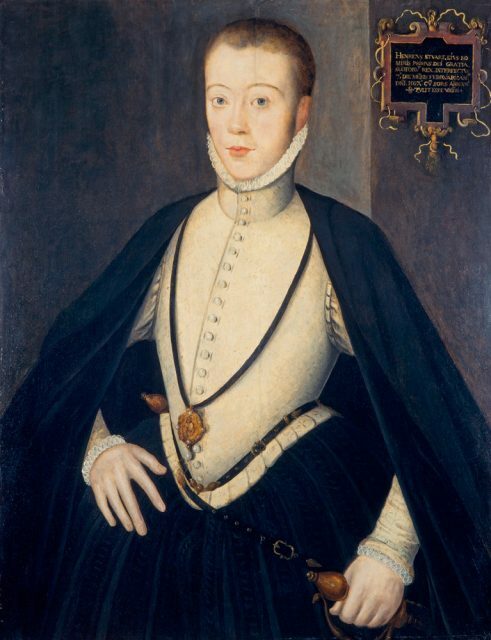 Apparently, Darnley cared little for the Protestant cause, upon which he acted against his wife, at first, and decided to switch sides. The royal couple then found refuge at the home of the sister of the Earl of Bothwell. As soon as the managed to escape, Queen Mary raised an army of several thousand men and returned to Edinburgh. 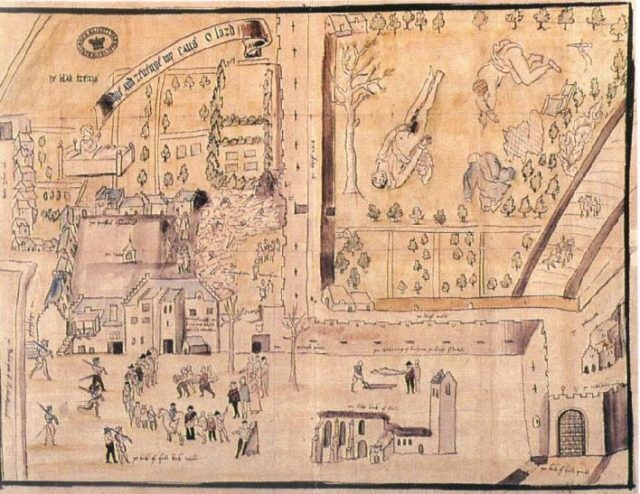 1567 drawing of Kirk o’ Field after the murder of Darnley, drawn for William Cecil shortly after the murder. 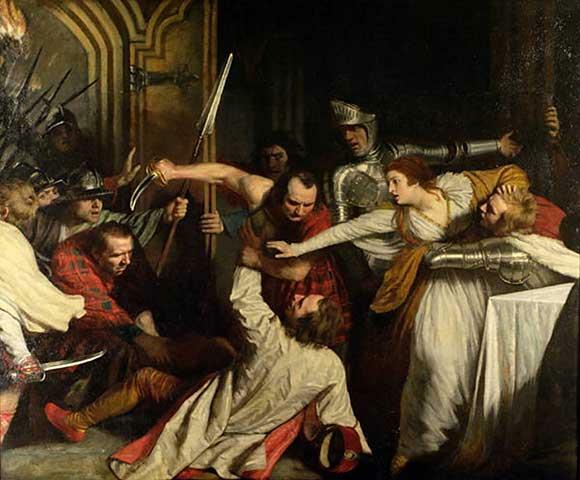 At that point, the conspirators were forced to flee, providing Mary Stuart the opportunity to consolidate her power and establish a firm rule over Scotland. 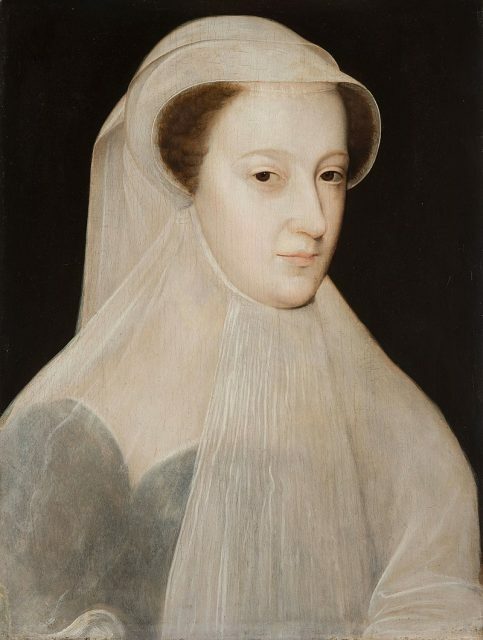 However, this period of peace was short-lived, for her former ally, Earl of Bothwell allegedly organized the assassination of Darnley, and forced the Queen to marry him. Another bloody chapter in Scottish royal history thus came to a close.